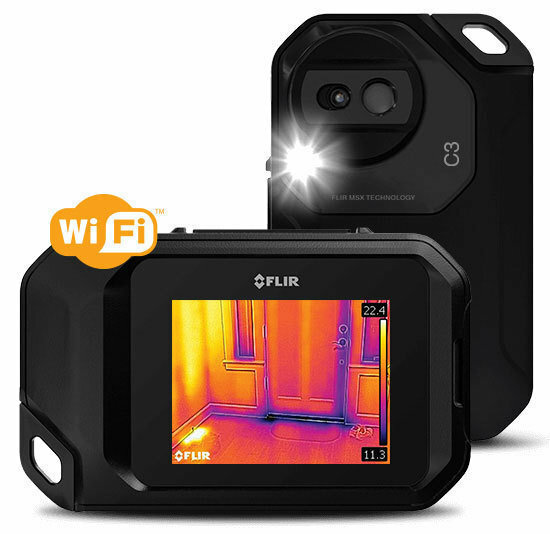 Description: The FLIR C3 is designed to be your go-to tool for building inspections, facilities maintenance, HVAC, or electrical repair. This slim camera fits easily in your pocket so you can take it anywhere. Its integrated touch-screen is a snap to learn, so you can quickly get to the job of finding hidden problems, documenting repairs, and sharing images over Wi-Fi.